MASON, W.Va. — Another strong performance and another step closer to the league title. 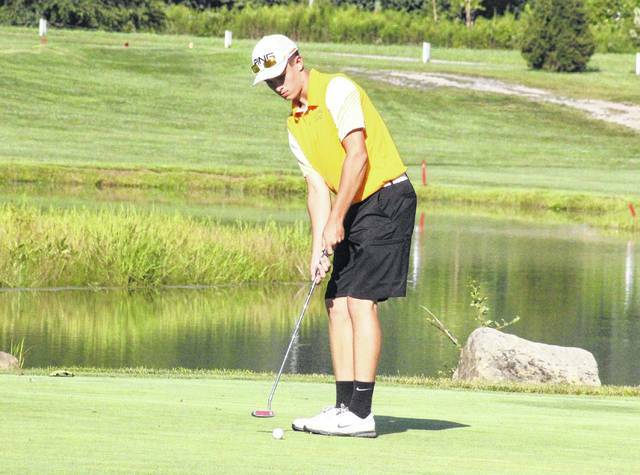 The Southern golf team claimed a 13-stroke victory over a five-team field on Wednesday night, in a Tri-Valley Conference Hocking Division match on the front-nine at Riverside Golf Course, hosted by Wahama. In the play six, count four format, the Tornadoes posted a total of 178 for a perfect 4-0 day. Waterford finished in second with a total of 191, four shots ahead of third place Eastern. Playing with only four golfers, the host White Falcons were in fourth with a 212. Rounding out the field and playing with five golfers, Trimble posted a 236. Leading the way for the Purple and Gold was junior Jensen Anderson, who was match medalist with a five-over par round of 40. Next for the Tornadoes, with matching rounds of 45, were Jonah Hoback and Jarrett Hupp. Landen Hill rounded out the SHS total with a 48. The non-counting scores for Southern were a 50 by Ryan Acree and a 55 by Joey Weaver. The Wildcats were led by Bryce Hilverding with a 45 and Wes Jenkins with a 46. Matt Semon posted a 49 for Waterford, while Travis Pottmeyer rounded out the team total with a 51. Evan Seevers’ 53 and Grant Whiel’s 57 were non-counting scores for the Green and White. Jasiah Brewer led the Eagles with a nine-over par 44, followed by Ryan Harbour with a 49. John Harris fired a 50 for Eastern’s third score, while Kaleb Honaker and Garrett Chalfant both recorded rounds of 52, with one counting toward the EHS total. Kylee Tolliver also competed for Eastern, posting a 54. Wahama was led by senior Anthony Ortiz, who fired a nine-over par round of 44. Gage Smith was next for the hosts with a 50, followed by Dalton Kearns with a 56. Kyher Bush rounded out the White Falcon total with a 62. The Tomcats’ best score of the day was a 54 by Nathan Riley. Zach Bragg marked a 56, Aeden Bailes came in with a 60, while Josh Hashman posted a 66. Caleb Bryant also competed for THS, recording a 70. Wahama, Southern and Eastern are all scheduled to resume league play on Tuesday, at Cliffside Golf Course. 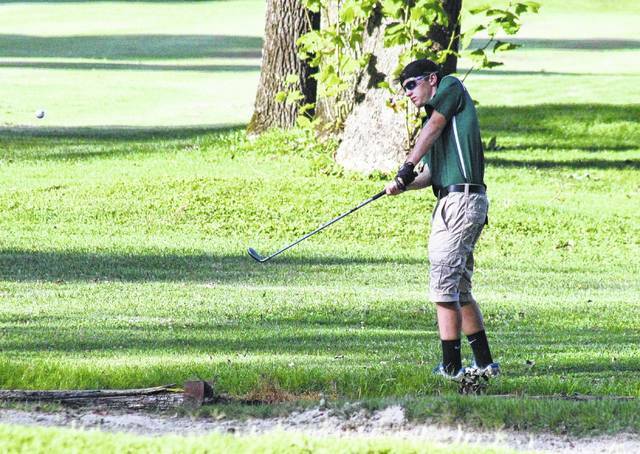 Southern freshman Landen Hill putts on the fifth green at Riverside Golf Course, during Wednesday’s TVC Hocking match.